Valletta 2018 Chairman Jason Micallef and Malta Fashion Week Executive Producer Adrian Mizzi during this morning's press conference. As the European Capital of Culture year coincides with the Malta Fashion Awards’ 20th anniversary, the newly renovated Triton Square in Valletta will see the biggest Fashion Awards ceremony to date! Being the European Capital of Culture this year, Valletta, more than ever, is the perfect location to host the Malta Fashion Week and The Malta Fashion Awards, which promote and nurture the ever-growing local fashion industry. This year’s edition of the Mercedes Benz Malta Fashion Week, which is also part of the Valletta 2018 Cultural Programme, will see a number of events taking place at landmark spots in Valletta, including a designers’ exhibition and a charity auction at the recently refurbished indoor market – Is-Suq tal-Belt – and fashion shows by various local and internatonal designers at Fort St Elmo. Throughout the week, designers along with their respective hair and make-up entourages, will be taking to the streets of Valletta to photograph their latest collections against the beautiful backdrops which our capital city has to offer. The most highly anticipated night – The Chamilia Malta Fashion Awards – will be taking place at the newly renovated Triton Square, which will be transformed into a large outdoor stage promising a fantastic night of fashion, talent, culture and celebration. Some of the best up and coming local fashion designers will be showcasing their latest collections during fashion shows split over six days at St Elmo. These include Parascandalo, Gaetano, Ritienne Zammit, Herman Vassallo, Carla Grima, Rosemarie Abela, Isle&Aqua by Giulia Pandolfino and Yana’s Jewellery. The Malta Fashion Week will also include fashion shows by the likes of international artists such as Agatha Ruiz de la Prada (Spain), Herminas Reea (Greece), Sif Jakobs (Denmark), Eymeric Francois (France), Jason Grech (Australia), Bata Spasojevic (Serbia) and Ocantos (Argentina) as well as shows by Dizz Group, The Point and Gagliardi. During a press conference earlier today, Valletta 2018 Chairman Jason Micallef said that “after twenty years, the Malta Fashion Week is not simply a local annual event, but also an international one. Valletta 2018 provides a unique opportunity for Valletta to host this event, as the city’s art, architecture and culture are celebrated while mingled with fashion. This year, the Fashion Week will extend between the farthest two points of the city, starting from Triton Square to Fort St Elmo, celebrating both the national and international aspect of Valletta 2018, as artists from around the world showcase their work in our exceptional city”. 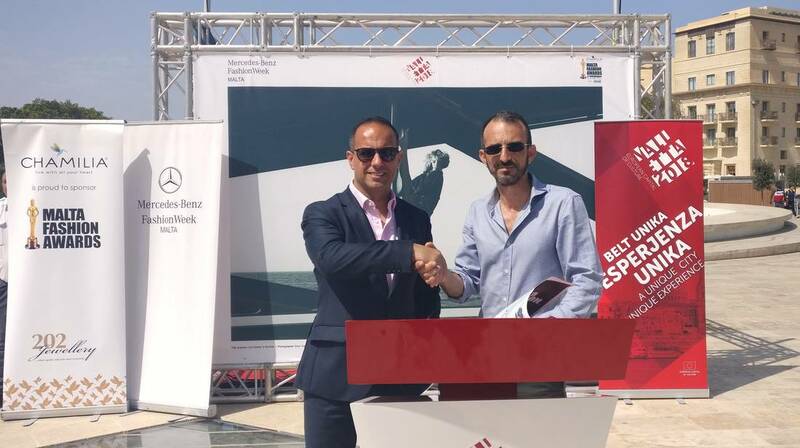 The Malta Fashion Week is supported by Valletta 2018. For more information visit valletta2018.org. Valletta 2018 Premium Partners: General Soft Drinks Co. Ltd, Bavaria and Bank of Valletta.